Chocolate Chip & Chunk Cookies. 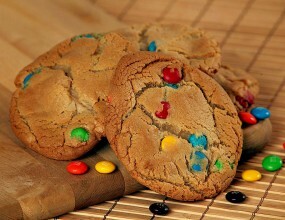 Gourmet cookies loaded with large, deep chocolate chips and c..
One of our signature soft and chewy cookies made with high quality cocoa, a rich frosting, and to..
Great tasting cookie filled with M&M Candy. 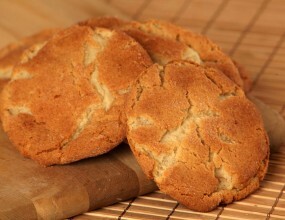 ..
Macadamia Nut Cookies. 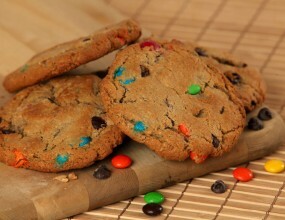 Full of macadamia nuts and delicious white chocolate ..
Monster Cookie. 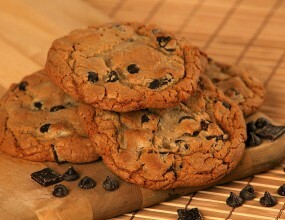 Made with no flour, chock full of peanut butter, oatmeal, chocolate chips and M&a.. 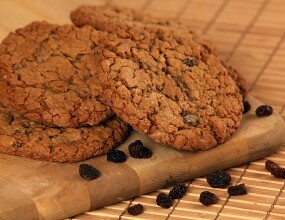 Plump, juicy raisins and wholesome oatmeal ..
Peanut Butter Cookies. 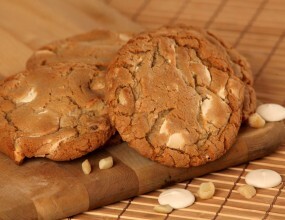 Made with creamy peanut butter and chunks of fresh peanuts ..
Red Velvet Cookies. Smooth & Chocolatey, covered with string stripe frosting.. 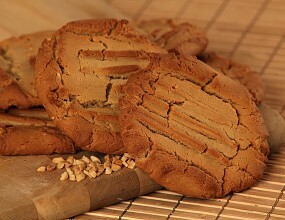 Covered with mouthwatering cinnamon and sugar coatings. .. 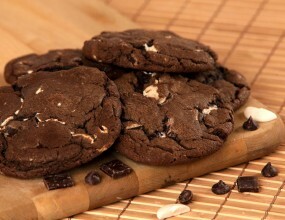 Delicious, rich chocolate cookie packed with chocolate chips, chocolate chunks and rich, tasty wh..